Lulzim Basha today attending meetings with citizens in the districts, and inviting them to attend the 16th of February protest in Tirana. At the meeting with the inhabitants of Gjirokaster, Basha said that it is up to them to stop the decaying system, which according to him, has taken the future of Albanians hostage. The opposition chair said that the DP will not come into power through the protests, but through ordinary votes and vision. Meanwhile, tomorrow on Sunday, the Democratic Party has organized a series of protests from citizens in the North and the South, which will be held in Tirana on February 16th. Citizens of Shkodër, Dibra, Korça, Gjirokastër and Tepelena protested against the difficult economic situation in the country, highlighting the rate of poverty, unemployment and the exodus of youth. Also today, the chair of the Socialist Movement for Integration Party, Monika Kryemadhi, has warned Prime Minister Rama that he will have the same fate as previous dictators. 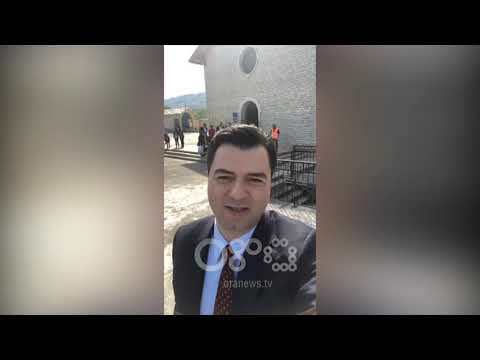 At her meeting in Korça this morning, Kryemadhi said that the protest will not be just an opposition protest for the DP but also a protest for honest socialists who are dissatisfied with the government of Edi Rama.